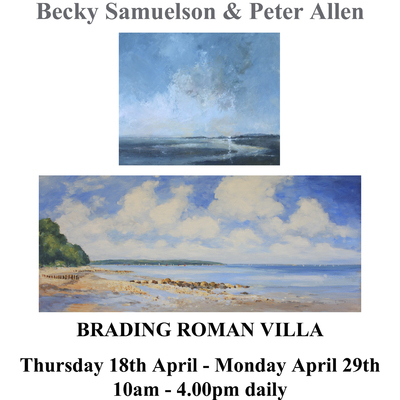 An Easter exhibition and sale of paintings at Brading Roman Villa by Becky Samuelson and Peter Allen. The work includes oils, acrylics and pastels. The exhibition will be hung at the rear of the Villa resteraunt and in the shop area. Admission to the exhibition is free and is open during normal Villa opening times, 10 - 4 daily.